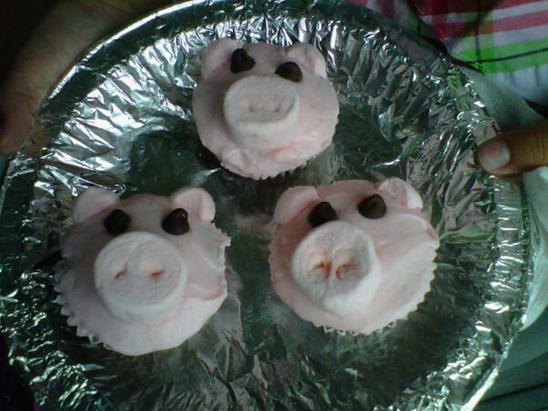 Food Poll: Cupcakes and Other Fun Farm-Themed Foods - JP loves LIFE! A couple of times I have been stopped in my tracks while browsing my timeline by a photo someone had posted. And several times that has been over some yummy goodness cooked up in a kitchen somewhere. Another one was posted recently and I knew immediately that these are food poll material without a doubt! 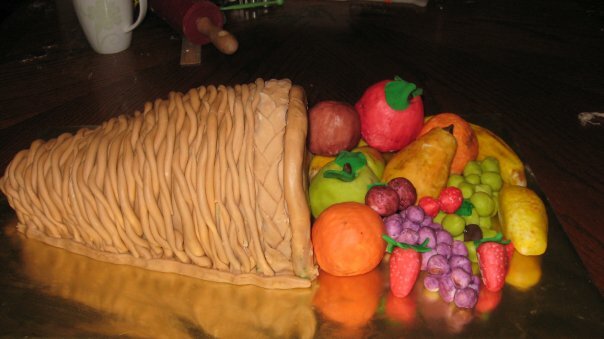 What types of baked goods do you decorate with farm themes? Below are some of the photos that made me think about how many options there must be out there. I’d love for you to share ideas, photos, etc because I loved these so much I had to start thinking about some of the things I may need to play around with… and I certainly have some ideas I need to work with a couple of good bakers on (yes, even if they use lard in their cookies LOL). 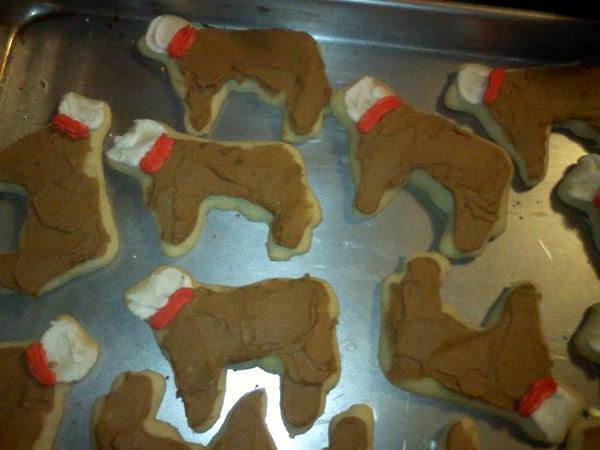 Pam Haley made these great cookies at Christmas (and yes,FarmerHaley, aka Mike was relentless about how they look AND taste so fantastic. 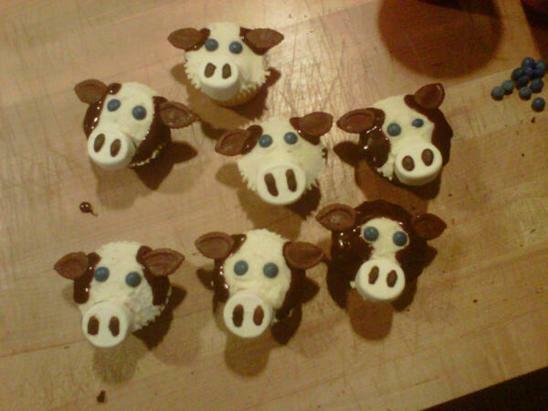 Carrie Mess (Twitter’s LaVieLamour) posted these cattle cupcakes earlier this summer. And then, this past week, Heather Hill (aka Twitter’s ProudPorkMom) popped up these hog farm favorites for Indiana. Have a design to share? Leave a comment & we would love get you to email a photo for us to post! My good friend Jill Meisenheimer says Tricia Braid Terry turned her onto these fun cupcakes that Jill intends to make next week with her niece! 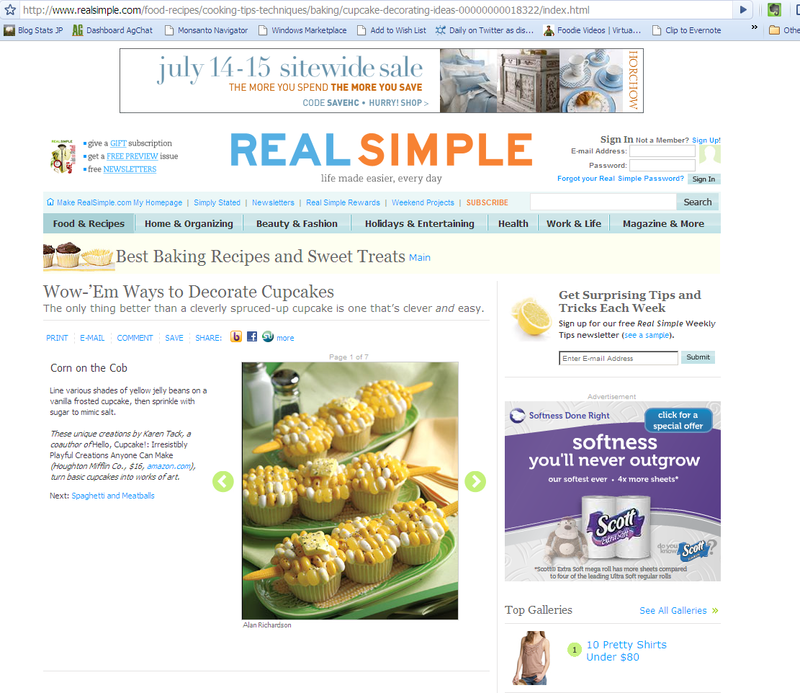 The screen capture leads to the post on Real Simple.